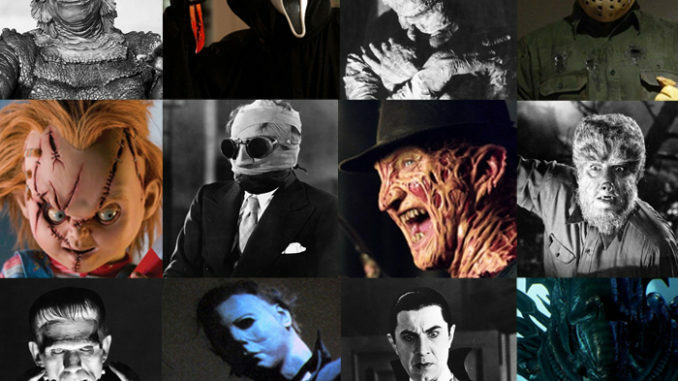 From the 1920s through the ’50s some of the greatest monsters reigned over the realm of terror. It wouldn’t be until the late ’70s and ’80s that their throne would be challenged. Since then, there has been an unspoken tension between these two teams of legends. 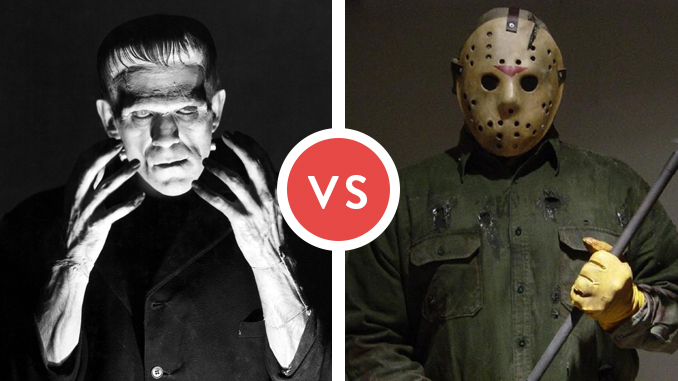 Each side has some strong contenders; both are balanced with strength, brains, charisma, ugliness, and the ability to go on a murderous rampage at the drop of a child into a pond. In order to crown the ultimate team, we’ll have to look at the strengths of each member and their rightful adversary. God forbid these legends ever come to blows; we can only be prepared to take sides. These are just one way that these legends can be paired up, and how the fight will go. There are many great monsters on both the modern and classic sides still out there, these are the crème de’ les crop. Good luck to both sides. Either way, humanity doesn’t stand a chance. Dracula has been alive for hundreds of years. He has picked up pieces of knowledge here and there. He’s calculated and always in charge. He will charm his way into any victory he can. Those he can not charm, he uses his piercing eyes to hypnotize and control the mind of any pawn he chooses. His army of minions may not do a lot of damage, but they make for a hell of a distraction. With his lack of care for life, Dracula will have no issue sacrificing a minion. When Dracula is awake he can make his plan and prepare against Freddy, but in his sleep he is vulnerable. 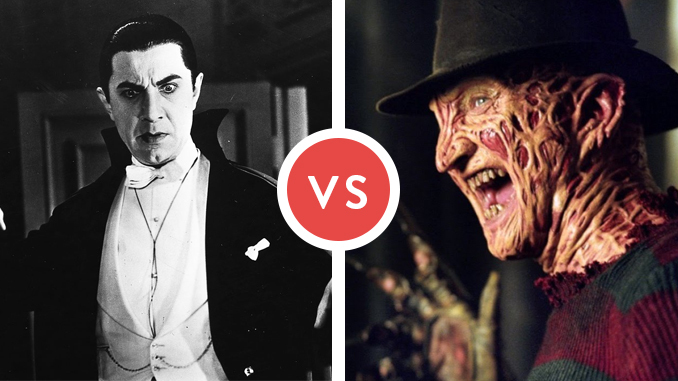 Freddy can take any form he wants in order to surprise, but ol’ Dracula has been known to change forms as well which can draw out a battle. 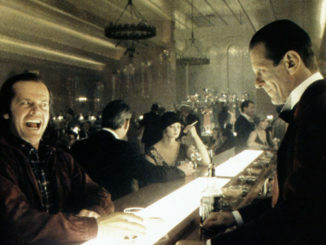 It’s a pretty even match until Dracula flashes those baby blues and takes control of the mind of Freddy. The match goes to Dracula. The Wolf Man, Lawrence Talbot, is a sad figure cursed to transform into a beast every time the wolfbane blooms and the autumn moon is bright. He doesn’t want his alter ego to kill but he has no control of his other form. When he is in Wolf Man form, he has a blood lust that can not be quenched. His strength is incomparable. In short, he’s an animal. Chucky, Charles Lee Ray in human form, is a serial killer. Once murdered, he used black magic to transport his soul into a doll and spends every waking minute trying to steal the body of an innocent. Chucky is relentless in his quest. He only lives to kill, it’s fun for him. His only short coming is that, well, he’s short. He’s a doll. Sure he uses this to his advantage to go unnoticed, but his strength is lacking. Pair these two trapped souls up and you can have an interesting battle. If the setting is right, the Wolf Man has his strength and Chucky doesn’t stand much of a chance. However, Chucky is clever and may be able to devise a plan, or even hide. Chucky’s greatest strength is the Wolf Man’s greatest weakness, Larry Talbot. The time to strike is when Larry is walking around. To make matters worse for the world. Larry is pure of heart, a perfect vessel for Charles’ soul. Now we have a serial killer who can take the form of a Wolf Man. The match goes to Chucky. Frankenstein’s monster was built with the best intentions. Unfortunately something went screwy with the brain. The result is a behemoth lumbering through life leaving a trail of destruction. He seems to have a gentle soul but step on the wrong side of him and there is no stopping the violence. Larger than a normal man with incomparable strength, he can and has killed before. Jason became a deformed freak who has no other purpose in life than to leave a trail of destruction. His problems, much like Frankie, stem from a parent. As a boy he needed special attention. He didn’t get it, and he died. 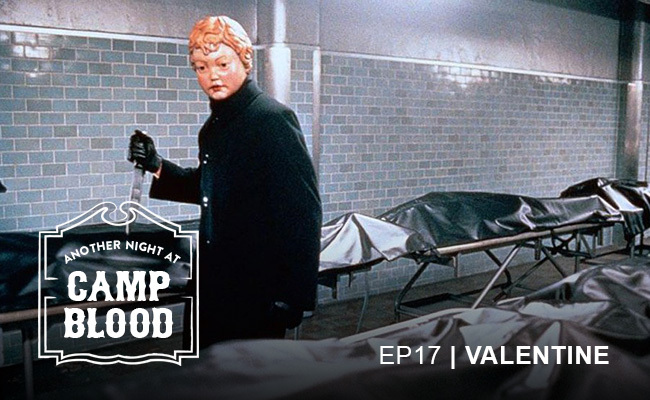 He came back from the dead and has spent his new life on a never-ending killing spree. This match is difficult. Both monsters have only one thing on their mind, to kill, and their scarred bodies show each trauma. They may try to search for a happy life, but it all comes back to an unstoppable force. Jason has a slight edge because he wields a weapon. Of course Frankenstein (I know, he’s Frankenstein’s monster) has fought off an entire town wielding weapons. This could go either way. Whatever the finish, you can guarantee it will be bloody and violent. The match ends in a tie. 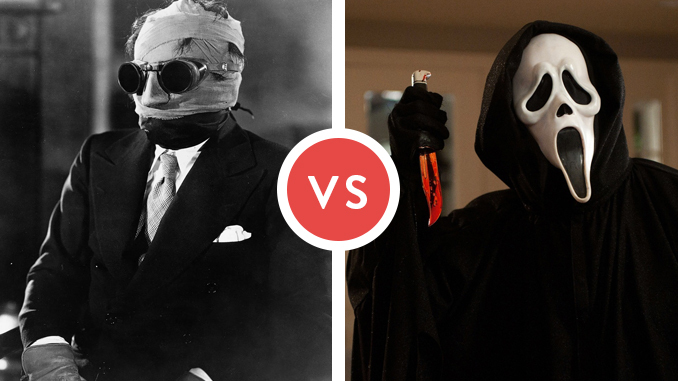 For this match-up, we’re strictly speaking of the unstoppable form of the mummy wrapped in linen and not the form of Imhotep because Imhotep would not stand a chance. The mummy is an ancient, magical, cursed being from the past. Anyone who comes into contact and awakens the beast will be terrorized until death is the only way out. The mummy has been shot, burned, and keeps forging towards his ultimate goal. His mere existence has scared men to death. If he actually gets his hands on you, it’s over pretty quickly. Backed by sinister magic, the mummy has ancient mayhem on his side. Michael Myers is arguably human, but something snapped in him that caused him to go on a killing spree. He doesn’t need to hide behind anything, besides his mask. Each attempt at stopping him is futile. Depending on how you look at his history, he too seems to have a curse upon him. He may be knocked down, but he will not be stopped. Michael focuses his rampage on one victim. There is no real reason why he chooses who he does, but the eye of his affection will be living through Hell. He will kill any and all who stand in his way. Bring these two forces of black magic/curses together and we have the most relentless fight. This may be the longest of all the battles. Each blow will only momentarily slow down both these monsters. There are no frills or spectacle here, just violence. The only way this can end is by one being beaten to the point of exhaustion. Michael may have the only advantage, and that is that the Mummy seems to be vulnerable if unwrapped and exploded. Of course it will put him out temporarily, by about a few thousand years. Match goes to Michael Myers in the short term but the Mummy in the long term. Perhaps the most respectable of the monsters, the Invisible Man was a reputable man of science whose only crime was pushing the bounds of science…. Until he freaking lost his mind and sought out his revenge on anyone whom he believes wronged him. He has the intelligence to create any trap for his victim. His scientific breakthrough allows him to hide in plain sight while also poisoning his brain. You never know where he could be and he’s truly crazy; a dangerous combination. It’s best not to get on his bad side… or let him know that you even exist. He doesn’t need a logical reason to kill you. On the other side of the fight is our most unique case. Ghostface also is fueled by revenge, but usually there is a team to make up this killer. They are mere mortals with a grudge and a blood lust. Ghostface will hide and plan every step in order to deliver a warped vision of justice. Ghostface thinks on his feet, often finding creative and unexpected ways to off his victims. His seemingly endless energy can wear down any soon to be victim. Ghostface can easily be killed, but as a team, someone will always take up the responsibility of the mask. These overlooked masters of terror often hide in the background stalking and terrorizing their victims so this battle may be played in the shadows leading with a burst of violence. Each will take their time to plan and watch, striking when the moment is right. That doesn’t mean that there will be psychological attacks being thrown from both sides. Ultimately, it is the Invisible Man who gets the edge. While Ghostface can do his best, he is the most “human”. There is no doubt that if and when Ghostface gets the edge, the team will show their face and explain their motives. A rookie mistake. The Invisible Man will never be found explaining his plan unless he’s already put the final parts into motion. Ghostface will never see the Invisible Man coming and that is what will end a battle of the minds. Match goes to The Invisible Man. Gillman is the Creature from the Black Lagoon. Get in the way of what he wants and he will stop at nothing to end your life and get it. His ghastly appearance is one of his strengths. Often stunning and paralyzing his victims with fear by the mere sight of him, Gillman takes this chance to strike. He is animalistic and silent. Those who come into contact with Gillman are often people of science, but not clever. Gillman is as simple as a monster can come. His only goal is to get a girl. Love will make any man, or creature, resort to unspeakable violence. The Alien, the Queen, Xenomorph XX121, whatever you want to call this outer space monster, do not get in her way. All she wants to do is preserve her species. Get in her way, or even look like you are a threat, and you’ve released unspeakable terror. She may not be too clever, but she is about as scary as anything you can come into contact with. Isn’t that enough? Brave women and men have traveled millions of miles away from the safety of their homes in the name of science. Intelligence will do you no good. On or off of her home turf, the Alien can adapt to any surrounding and create a living Hell for her victims. The two most primal creatures will see a no holds barred battle that will be bloody, ugly, and terrifying. There is no reasoning in the slightest with either of these two. All they understand is the attack. Each a predator, they will fight using nothing but their bodies. It will be quick, but horribly violent. In terms of fighting skills, there is no question how this will end. While Gillman will do his absolute best, he has nothing over the size of the Queen. 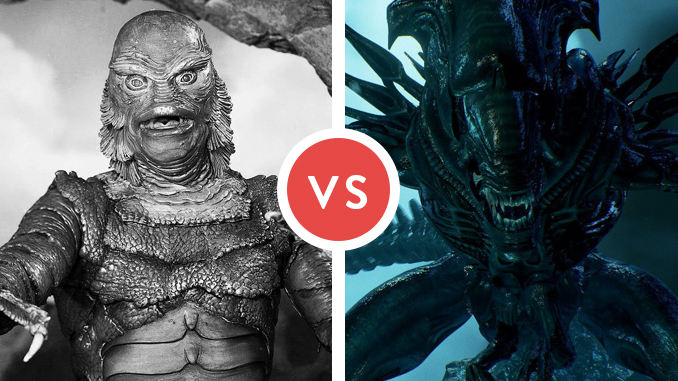 Some of Gillman’s greatest strengths will do no good in this fight. He’s dealing with something he’s never seen before. It’s an obvious, unfortunate, end. The Alien will quickly put Gillman out of his misery. Match goes to Alien. 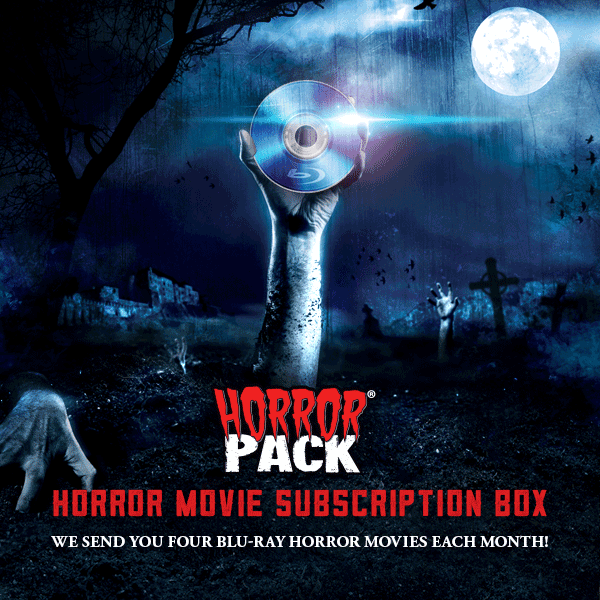 Looking for more Universal Monsters? 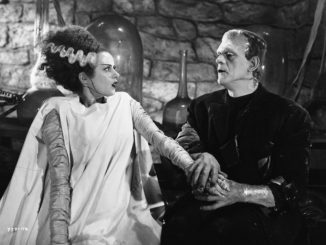 Check out our Universal Studios Monsters Viewing Guide, our Ranking of the Monsters from Sympathetic to Sinister, and our Which Classic Universal Monster Are You? quiz. 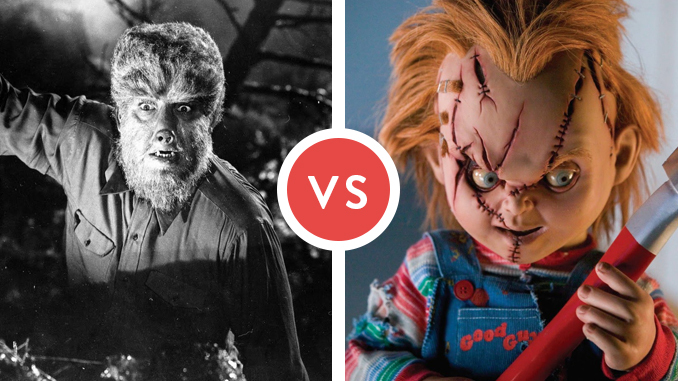 But in Battle 2 (Wolf-Man vs. Chucky), if the battle is on a full moon night, the werewolf tears Chucky apart without any problem. Although it would be interesting it for Chucky to transfer his soul to a werewolf. In the fourth, if the mummy is Kharis it would be somewhat even and very close, because it seems that you describe Kharis (the bullets do not harm him, he has been burned, and he always comes back in a long period of time). The mummy of the image is Imhotep (Boris Karloff) and if he is the one who fights with Myers the result would be an absolute victory for Imhotep, because his only weakness was that a deity incinerates the scroll that resurrects him, in addition to his magical powers to the pair, or even more formidable than Dracula. Thanks for your thoughts. Very interesting. I agree about the Chucky and Wolf Man. Of course, if Chucky stays still the Wolf Man more than likely would pass him by thinking he’s just a doll. He’s not the sharpest, just look at him immediately stepping into that bear trap. Not bad, but I’d pit the Wolfman against Michael Myers and the Mummy against Leatherface. Well, Freddy would kill a normal vampire. But Universal’s Dracula has nearly invincible. The silver, holy water, styx and solar light can’t kill him. In Abbott and Costello meets Frankenstein, he probably is killed by Larry Talbot a.k.a the Wolfman. Probably a werewolf is the only way to kill him. I like Rod Gs selection, but I would flip it around. 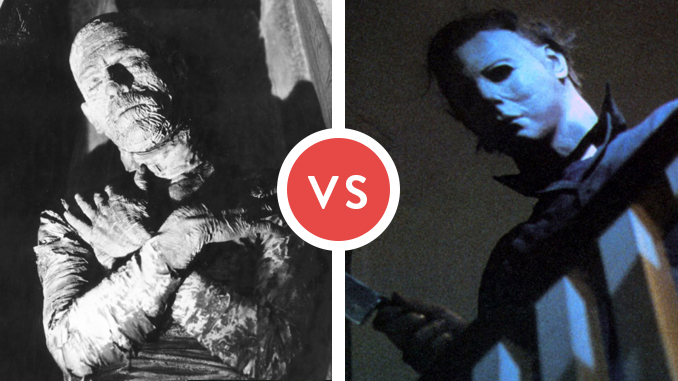 Have Leather Face face off against the Wolf Man and keep the Mummy against Michael Myers. The simple reason being Larry Talbot fights an unending frustrating hell to keep the primal animal inside and not hurt the innocent knowing the wolf is an emotionless predator. Leather Face on the other hand has fully embraced his evil, primal animal side. The entire Sawyer clan has exploited this and reduced their fellow man and woman to merely meat. They fully embrace the role of predator to cast the outside world as prey. Larry would still have a heart and his fangs and claws as the wolf man would be the only equal fare to the mechanical fangs of Bubba’s buzz saw.